Featuring a pent single sloping roof, the Sapphire Pent metal shed is available in two sizes and two colours. Hot dipped galvanised steel walls are reinforced & ridged to provide added strength. 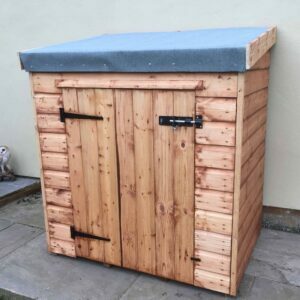 The Sapphire pent metal shed is available in two sizes and a choice of anthracite grey or green, all of which have a single sloping roof high at the front and low at the back.